Oh yes, tots are back. And this time they’re chock-full of broccoli. 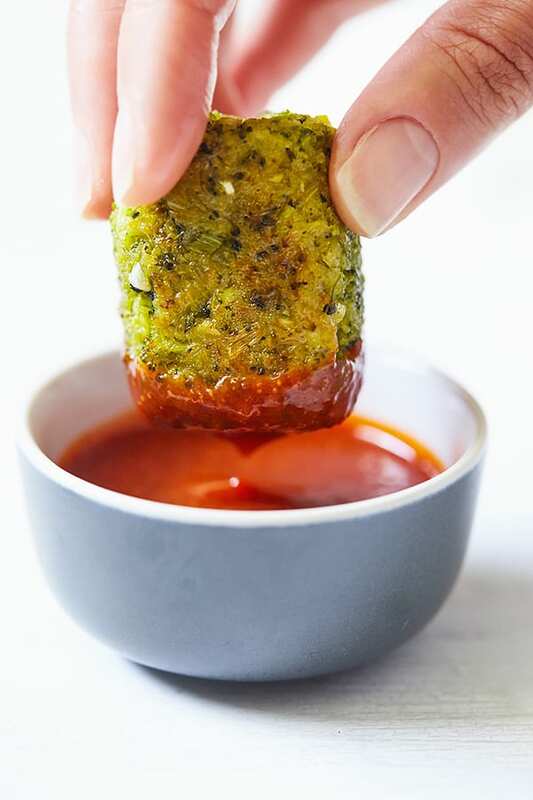 These broccoli tots are out-of-this-world good and healthy — getting your greens in has never been so fun! Growing up, tots were one of my absolute favorite snacks. I loved the way the potatoes would crisp up in the oven. I’d eat them like candy — they were so good. Little did I know how much frying had been done to them before they even hit the store! Yikes. Since then, it’s safe to say that tater tots and I aren’t the close friends we used to be, now that I know how much oil and salt are lurking beneath their shiny exteriors. That’s not to say I’ve forgotten about tots. In fact, the opposite is true. 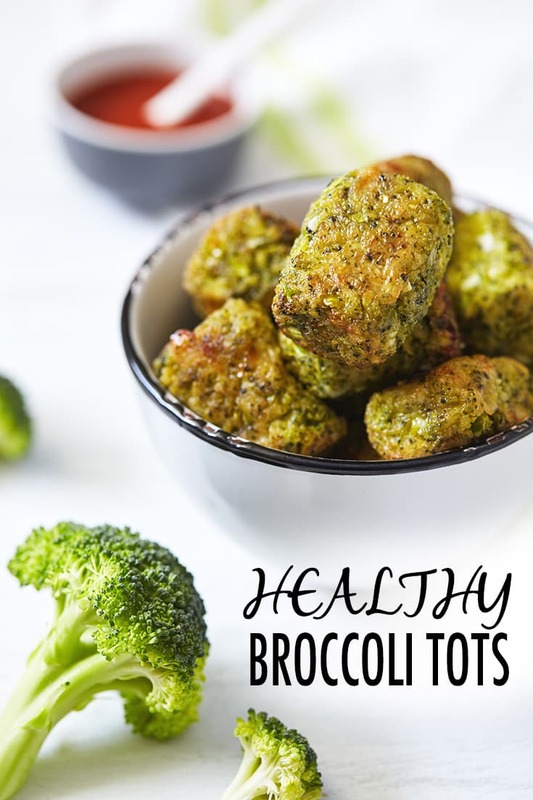 Recently I’ve been filling my tot void with these delicious Broccoli Tots. To make these broccoli tots, you’ll start by steaming broccoli florets over the stove. Once tender, the broccoli gets chopped into small pieces — and then combined with egg, breadcrumbs, seasonings, and cheese. You can even add a bit of hot sauce for some extra heat. It helps to refrigerate the mixture briefly (15–30 minutes) to help it firm up and make the shaping process easier. To form your tots, use your hands to shape the mixture into a tot-like form. Then place them on a baking sheet and bake until golden brown. The oven is a great way to avoid all the unnecessary oil from the deep fryer. Everyone will get excited about these broccoli tots. They make a great snack, side dish, or a fun appetizer to serve to guests. It’s a fun, bite-sized treat for kids and adults alike. These Broccoli Tots are a fun party-ready appetizer made with Panko breadcrumbs, chopped green onions, and shredded cheddar cheese. Lightly coat a large baking sheet with spray. Set aside. Boil water in steamer or large saucepan over high heat. Reduce heat to medium-high. Place broccoli in steamer basket; cook for 3 to 4 minutes, or until tender-crisp and bright green. Drain and chop. Combine broccoli, egg, bread crumbs, garlic, green onions, cheese, salt, pepper, and hot sauce (if desired) in a large bowl; mix well. Refrigerate, covered, for 15 to 30 minutes. To make each tot, shape approximately 2 to 3 Tbsp. broccoli mixture into tot shape. Place on prepared baking sheet. Bake for 8 to 10 minutes. Turn over; bake for an additional 7 to 8 minutes, or until golden brown. Makes a great veggie side as part of lunch or dinner.